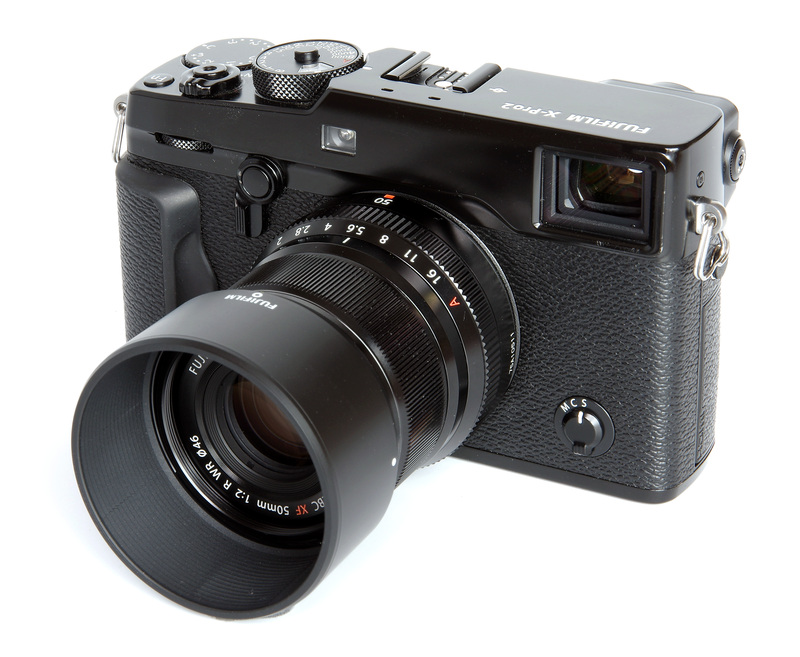 John Riley reviews the Fujifilm Fujinon XF 50mm f/2 R WR lens for X-mount cameras. Fujifilm has been gaining an enviable following with their X Mount range and now have released two compact prime lenses that evoke the form factor of the traditional rangefinder lens. The first of these to be reviewed was the 23mm f/2, the second is the 50mm f/2. Both are compact, weather resistant and are ideally matched with the Fujifilm X-Pro2 used in this review. Now we turn our attention to the 50mm f/2, a short telephoto on the APS-C format. Weighing just 20g more than the 23mm f/2, the lens tips the scales at a very modest 200g. It is very compact and evokes the memory of the traditional rangefinder camera, something that will appeal to many photographers. The Super EBC (Electron Beam Coating) coated front element is surrounded by a tiny 46mm filter thread, and outside that a bayonet mounting accepts the provided lens hood. The hood clips positively into place and does an excellent job of shielding the front element. Next inwards we find the electronically operated manual focusing ring, which operates smoothly and has just the right amount of damping. Sadly, it does not offer manual focus during AF operation. Focusing is down to 39cm, a maximum magnification of 0.15x. Moving further towards the camera body we have the aperture ring, beautifully made and as slick as we could wish for, operating in nicely click stopped third stop increments. There is an A setting should the photographer wish to have the camera take control, but the design of the lens as a whole does encourage use of the aperture ring, a tactile pleasure in its own right. The lens is weather resistant, always a welcome feature, and has an optical formula of 9 elements in 7 groups. There is one aspheric ED (extra low dispersion) element. The diaphragm has 9 blades, using a rounded design to further improve bokeh. The 50mm focal length in APS-C has a “35mm format equivalent” of 76mm, a modest telephoto that gives a good degree of magnification and the ability to separate out a subject from its background. SLR users do not usually find full frame 75mm lenses, but the rangefinders do have such optics and it is here that the rangefinder ethos can be seen in the overall design. 76mm is long enough to make a reasonable portrait lens, so there are many possibilities. Like the 23mm f/2 already looked at, the 50mm f/2 lens gives an exemplary performance in the resolution chart. Centrally, sharpness is outstanding from f/2 to f/4, excellent from f/5.6 to f/11 and very good even at the smallest aperture of f/16. The edges are excellent from f/2 to f/11 and very good at f/16. This is a superb result by any measure and shows the lens to be critically sharp throughout. For this review, the lens was tested on a Fujifilm X-Pro2 using Imatest. CA (Chromatic Aberration) is moot with some MFT and with the Fuji X cameras, as there is software at work in the cameras in both the RAW and JPEG output. This means that correction of CA is almost perfect, both centre and edge. Using Fuji lenses on Fuji cameras this doesn't have a downside, but the thought does occur that results using the lenses on other marques might well need some attention in software as well. That is, always assuming that suitable adapters can be sourced. The SLR lens manufacturer does not have quite the same freedom to enhance corrections in camera as the lenses might be used on many different bodies via the plethora of possible adapters available. Distortion likewise is corrected before we become involved, and hence measures a very low -0.16% barrelling, as near perfect as makes little difference. Flare is not a problem either, images shot against the light showing no sign of loss of sharpness or contrast. Bokeh is pleasing, helped by the telephoto reach of the lens and the reduced depth of field. It is smooth, although not a gorgeously smooth as the STF (Smooth Transition Focus) lenses that are starting to appear. 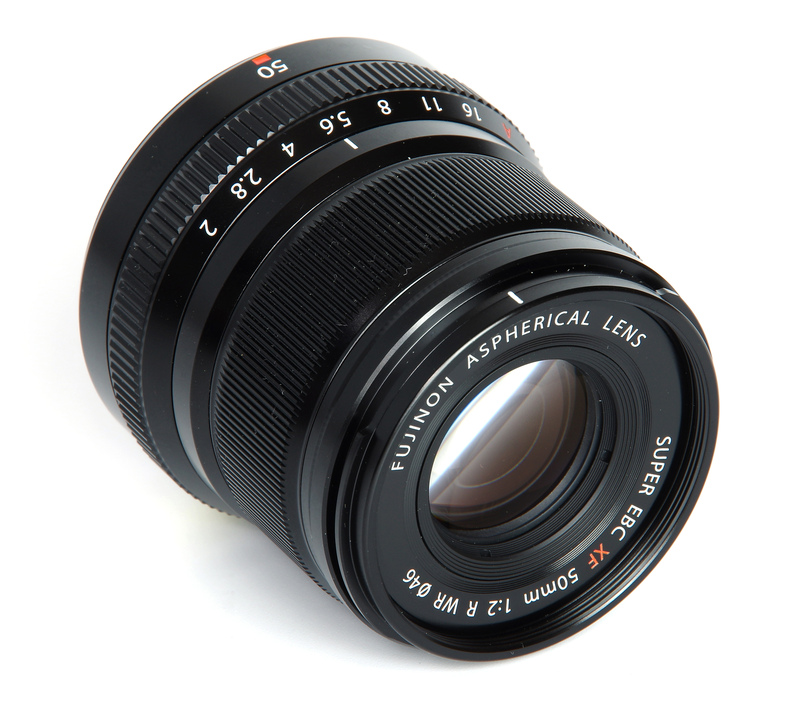 Overall, a beautifully made lens with outstanding results technically. 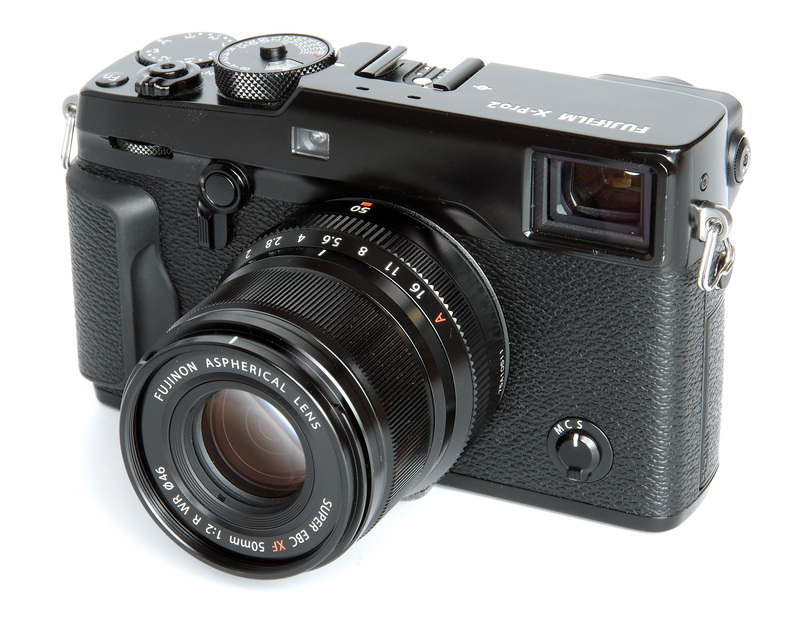 It is compact, convenient to use and a very desirable addition to the Fuji X range. The Fujinon Super EBC XF 50mm f/2 R WR lens is priced at £449, which seems to be a reasonable cost for a high quality prime lens. There are quite a few alternatives available in Fuji X fit. Fuji themselves offer the Fujinon XF 56mm f/1.2 R (£768) and the APD version of the same lens (£1159) that boasts an apodization filter and the promise of superb bokeh. The Fujinon 60mm f/2.4 R Macro is another possibility at £579 as is the Zeiss 50mm f/2.8 Makro Touit at £749. In manual focus, Samyang has two offerings, the Samyang 50mm f/1.2 AS UMC CS (£309) and the Samyang 50mm T1.3 AS UMC CS Video lens (£329). For more options have a look at the Top 10 Best Fujifilm Lenses. 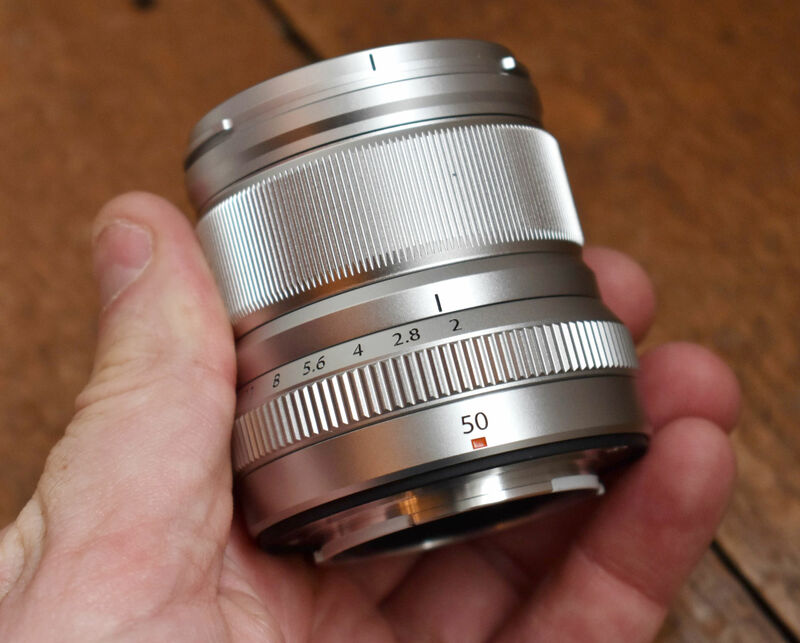 The Fujifilm Fujinon XF 50mm f/2 R WR is another superb Fuji lens, sharp, crisp and with pleasant bokeh, compact, weather resistant and relatively modest in price. 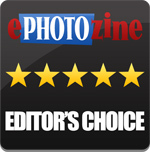 Another fine Fujifilm Editor's Choice award. A superb short telephoto lens at a very reasonable price for Fuji X users. [quote]Sadly, it does not offer manual focus during AF operation. [/quote] A correction, there is a custom setting that does enable full time manual focusing in AF. Its default appears to be "off". When switched on it works as expected and allows manual tweaks to the AF focus position. Quote:Sadly, it does not offer manual focus during AF operation. A correction, there is a custom setting that does enable full time manual focusing in AF. Its default appears to be "off". When switched on it works as expected and allows manual tweaks to the AF focus position.